The United States hosts about 80 tick species out of more than 800 species worldwide. But only a small percentage cause problems for humans and pets. Most U.S. tick species stay within defined regions. Their familiar tear-shaped bodies look similar, but distinctive head and back markings identify different species. Newly hatched ticks are as small as grains of sand, but adults may measure 1/2 inch or more after feeding. It's simple — and important — to get to know and recognize common backyard ticks in your region. Blacklegged (or deer ticks), known by the scientific name Ixodes scapularis, are heavily concentrated in the Northeast and Upper Midwest. These are the main ticks behind Lyme disease transmissions. The American dog tick or wood tick (Dermacentor variabilis), a leading vector behind Rocky Mountain spotted fever, is also abundant in the East and Central U.S. 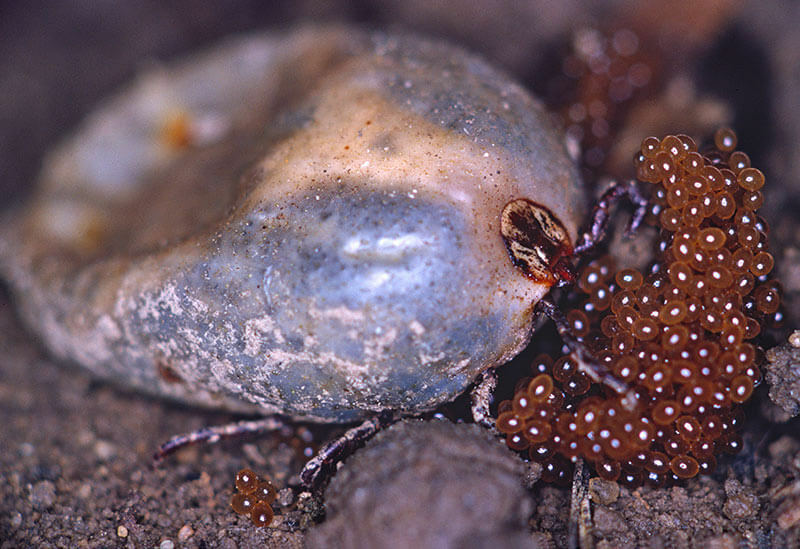 The brown dog tick (Rhipicephalus sanguineus) is the only tick found coast to coast. A worldwide range underscores this tick's unusual ability to live entirely indoors and become firmly established in homes. 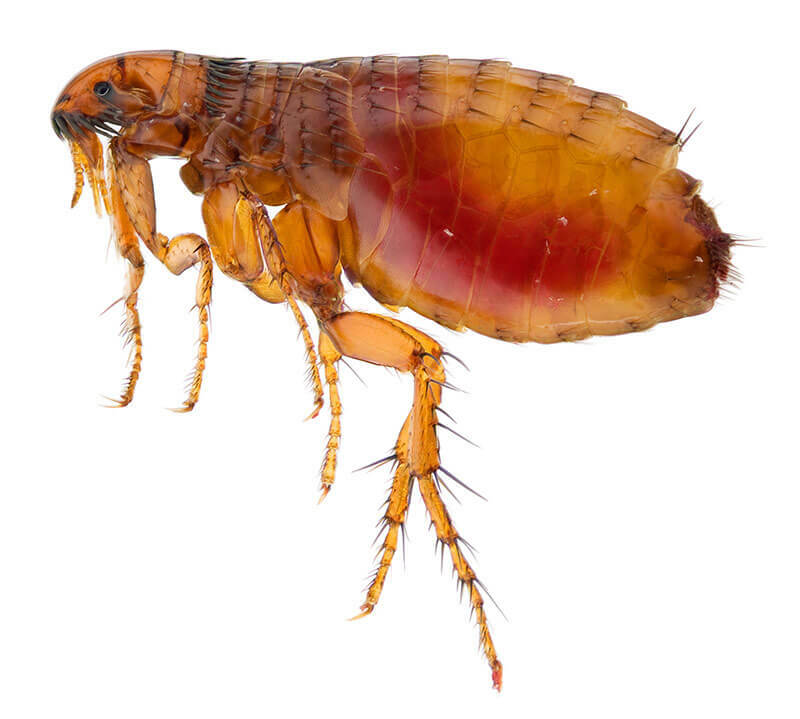 Out of an estimated 325 U.S. flea species, with more than 2,500 worldwide, only the cat flea is a serious U.S. pest. Cat fleas (Ctenocephalides felis) are the most common exterior parasite of cats and dogs in the United States. About 1/8 inch long, these reddish-brown fleas are slightly transparent; after feeding, their blood meals are visible inside. Cat fleas have bodies flattened from side to side, enabling easy movement through thick fur. Like the brown dog tick, cat fleas regularly infest U.S. homes. Tick lifespans vary, but some species can live for years. Blacklegged ticks mature in a two-year span, while American dog ticks may live two to three years in each feeding stage. Both male and female adult ticks seek a final blood meal, which lasts over several days, before they die. Males usually feed, mate and then die. However, they can mate before feeding and dying. Engorged females can grow to 120 times their previous body weight. Then they drop from their host, lay a single egg mass and die. Female brown dog ticks typically lay 5,000 eggs per batch; some species lay more than three times that amount. Indoor infestations may go unnoticed until eggs hatch, and tick larvae cover walls and window coverings. Cat fleas also hatch from eggs, but they pass through three worm-like larval stages and then pupate in sticky cocoons that attract camouflaging dirt and dust. When adult fleas emerge, they put their large hind legs to work and seek a host. Cat fleas can jump more than 12 inches — vertically and horizontally. When a host is found, fleas start feeding within minutes and mate within two hours. Within 34 hours of their first blood meal, female fleas begin laying eggs. Cat fleas may take 10 to 15 meals per day, with females consuming up to 15 times their weight in blood daily. They lay up to 2,000 eggs at a rate of 25 to 40 eggs per day. The eggs fall freely from the host, staying wherever they fall. From egg to adult generally takes 21 to 28 days. With just a few fleas, populations can skyrocket as hundreds hatch daily and the cycle repeats for generations. Ticks and fleas are much more than nuisances. Ticks can transmit serious diseases to humans and pets, from Lyme disease to tick-induced paralysis. Fleas are best known for bites and allergic reactions, but cat fleas transmit diseases to cats, dogs and humans, from cat scratch fever to murine typhus. They can also pass a type of dog tapeworm larvae to children who inadvertently ingest fleas. Protecting your home's perimeter is a key to prevention. AMDRO Quick Kill® Home Perimeter Insect Killer Granules protects that area closest to your home, killing fleas, ticks and other pests on contact. This premium formula uses sand, commonly found in professional pest controls, so active ingredients work more quickly and effectively. 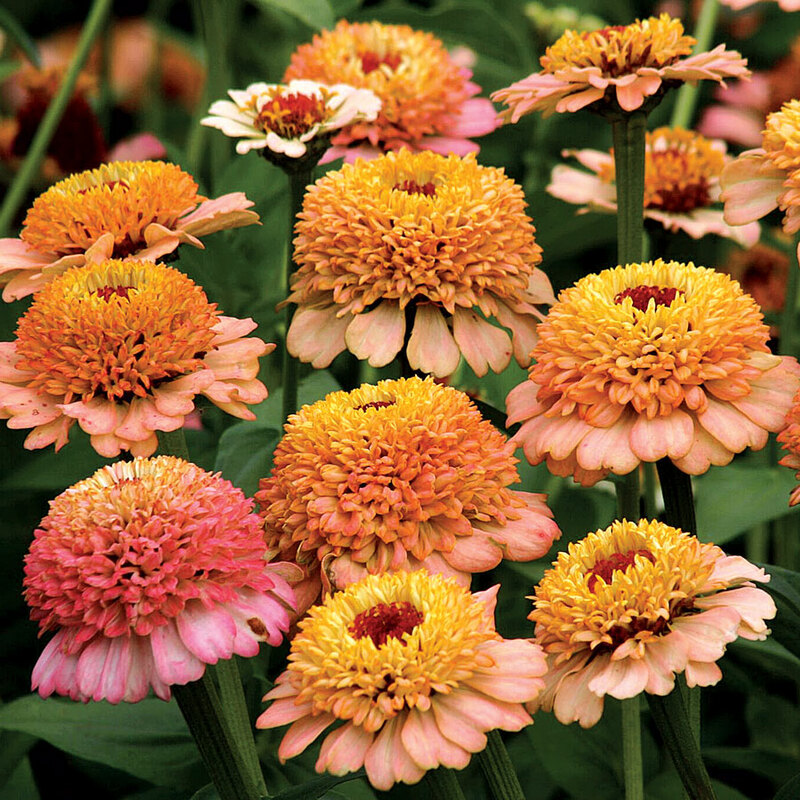 It provides up to three months of protection against new invasions. AMDRO Quick Kill® Lawn Insect Killer Granules kills existing ticks, fleas and other surface and sub-surface lawn pests within 24 hours. This simple-to-use, broadcast treatment keeps protecting treated areas for up two months. Simple-to-use liquid formula AMDRO Quick Kill® Outdoor Insect Killer, available in Ready-to-Spray and Concentrate, can be sprayed on trees, shrubs, lawns, flowers and even vegetable gardens, reaching ticks and fleas where other products can't. It kills more than 500 pests on contact and keeps working for up to three months. By proactively treating your lawn and home perimeter for ticks and fleas, you can stop these pests in their tracks and prevent ongoing problems. With premium flea and tick controls and expert pest advice, AMDRO® is committed to helping you protect your home, lawn and family against ticks, fleas and other disruptive pests.